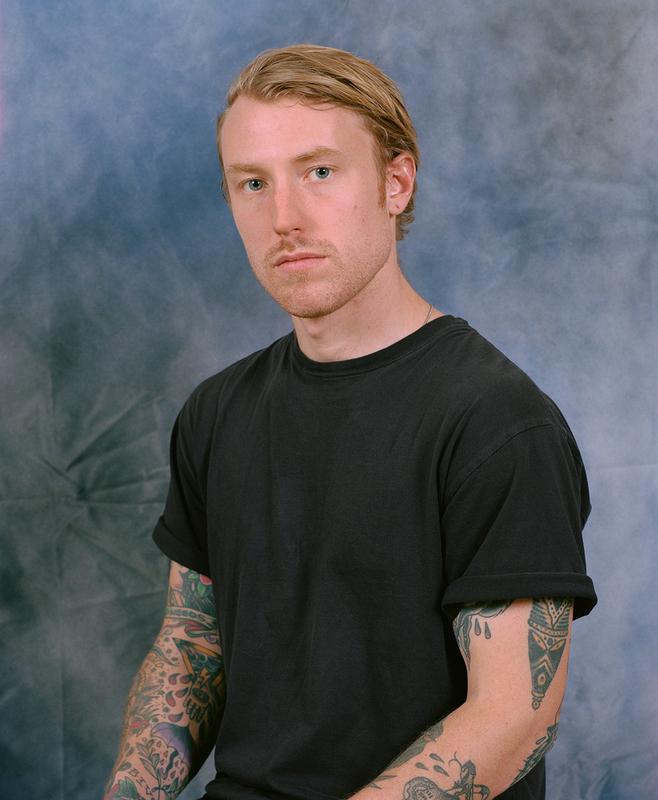 Molly Matalon photographs authenticity: real people, real settings, real perspectives. It is through this medium that she is able to explore both herself and her subject. Often opting for self-portraits, Ms. Matalon's work distinguishes what is fact and what is not. It also doesn't hurt that her Floridian nativity adds a photographic flair, no matter where she is based. DAUGHTER RUNS: What first drove you towards photography? Molly: i was going to punk shows, lurking myspace, trying to find out how to make friends outside of high school. i got really into taking profile pictures for people and shooting bands. DAUGHTER RUNS: Do you feel your portraits are an accurate representation of the way you view the person you're photographing? Molly: I actually don’t think a portrait is an accurate representation of the person in the picture. It might describe the person, “like they’re in the picture”. But since it’s being taken by someone else I feel it’s mostly a representation of the photographer. This is where for me importance of the selfie comes into play. I guess when I’m making a portrait of someone I’m always thinking about a really subtle character version of that person. DAUGHTER RUNS: Is there a technique you use that helps make your subjects feel more comfortable in front of the camera? DAUGHTER RUNS: What was the inspiration behind the series you did on your mother? Molly: in short, i had trouble finding ‘inspiration’ in NYC when i was in college so i was encouraged by a teacher to photograph my family when i went home to visit florida on break, and eventually my mom’s personality stood out among other members of my family and i kept shooting her. we had a rocky relationship and making pictures of her really helped to mend it into something new. DAUGHTER RUNS: Where do you stand on the film vs. digital debate? Molly: I feel like this question is irrelevant at this point. Molly: totally. i lived in NYC for 4 years and it drove me to hustle and make sure people knew i lived there and was a woman making pictures even while i was still in school. it’s important to also be inspired in the place you’re living! even if it’s in the midwest somewhere people are out there killing it. when i was living in NYC i was taking pictures in florida. NYC didn’t inspire me creatively but it gave me ambition. it’s all about perspective. DAUGHTER RUNS: In your work you photograph in both a natural environment as well as in a studio environment. How do you feel using both of these settings allow you to express your vision more thoroughly? Molly: in studio it’s definitely a challenge for me to again find that sort of subtle character in someone, or pick the right colors. i’m a studio lighting amateur so i just set up what I know and then try to work the person I’m shooting into a particular picture. Out in the world feels more natural to me and also more fun. Molly: Larry Sultan, Torbjorn Rodland, Katy Grannan, Roe Ethridge, Taryn Simon, Jo Ann Calis, Rineke Dijkstra, Daniel Shea, Jason Nocito, Jody Rogac, all my closest friends & lovers. DAUGHTER RUNS: What is the last film you watched? DAUGHTER RUNS: What is your favorite decade or time period?